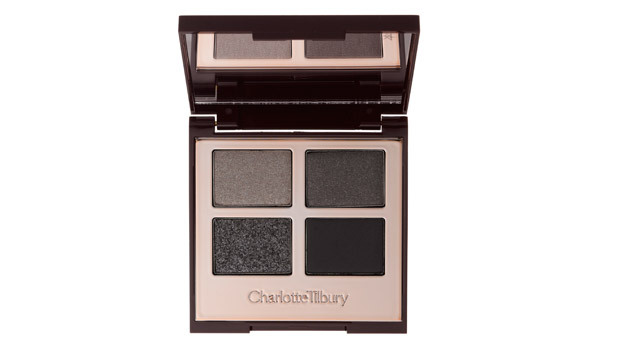 Charlotte Tilbury is flame-haired vixen that counts the likes of Kate Moss as her BFF. But as if her cool-girl pedigree wasn’t enough (she grew up in Ibiza – sigh), in the world of make-up, Charlotte Tilbury is about as A-list as they come. Cue squeals of excitement and some rather unsportsmanlike jostling as her first ever foray into retail is finally being unveiled in Selfridges on Monday. Using her 20 years industry experience, the 100-strong product range aims to beautify as well as actively improve your skin (our personal favourite is the ridiculously fine Airbrush Flawless Finish Micro Powder, which contains rose wax and almond oil for a hydrating, non-cakey texture). But the USP that really got our attention is the way the colour collection is designed to be super-accessible and easy to use with proper instructions and ten colour wardrobes to choose from (including the ‘Vintage Vamp’ and the ‘Rebel’). Available from Monday 2 September from Selfridges, Net-A-Porter.com and CharlotteTilbury.com.